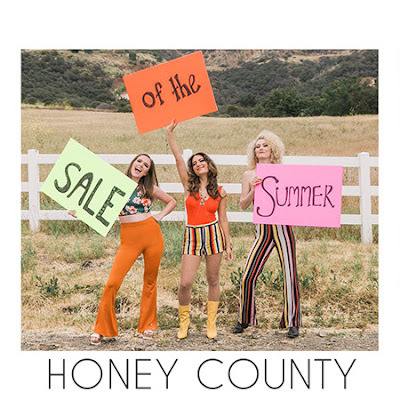 Southern California-based Country trio Honey County has released a music video for their new single “Sale of the Summer,” which premiered yesterday on Radio Disney Country. The music video can be viewed here, and the single, along with all of Honey County’s music, can be found on Apple Music, Amazon Music, Spotify and Pandora. The trio has opened for Brett Eldredge, Jake Owen, Easton Corbin, LANCO, and Morgan Wallen, and played festivals Stagecoach 2017 and Country Summer 2018 alongside Maren Morris, Florida Georgia Line, Little Big Town and more. You can read about their recent success in this article from KFRG-FM. Follow Honey County on Facebook, Twitter, Instagram and YouTube. Keep up with their tour dates on their website at www.honeycounty.com.